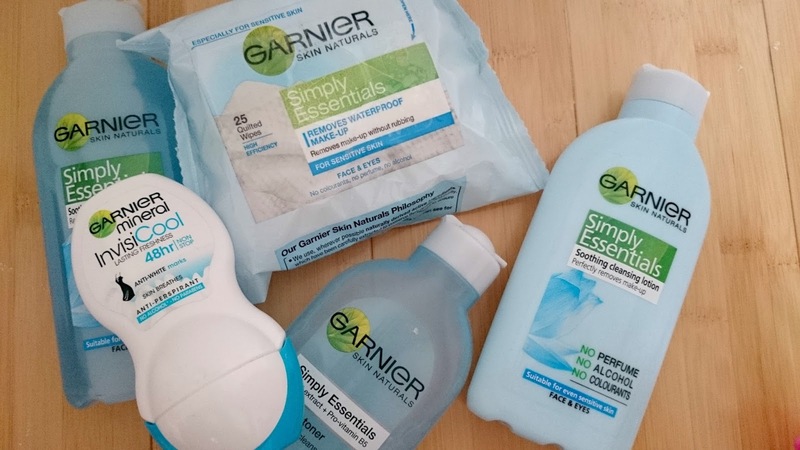 I have used Garnier for as long as I can remember, from their simply essentials skincare to the good old fructis hair care. There really is nothing they can do wrong in my eyes especially now they can add their fabulous micellar cleansing water to the mix. Garnier was founded in 1904 but was known as Laboratoires Garnier until it became part of the L'oreal family in 1970. So today I thought I'd give you a little run down of the products I'm using and loving at the moment. I love the simply essentials range.. I always have a bottle of their Soothing 2 in 1 make up remover on stand by and a pack of their trusty facial wipes. The make up remover is so lovely on the skin and removes make up effortlessly. I know facial wipes are 'frowned' upon but they are so handy to have around and I always have a pack of these waiting in the wings for quick fix ups and a speedy cleanse. I also have the cleansing lotion and toner from the same range. Can you tell I'm fan of Simpy Essentials? 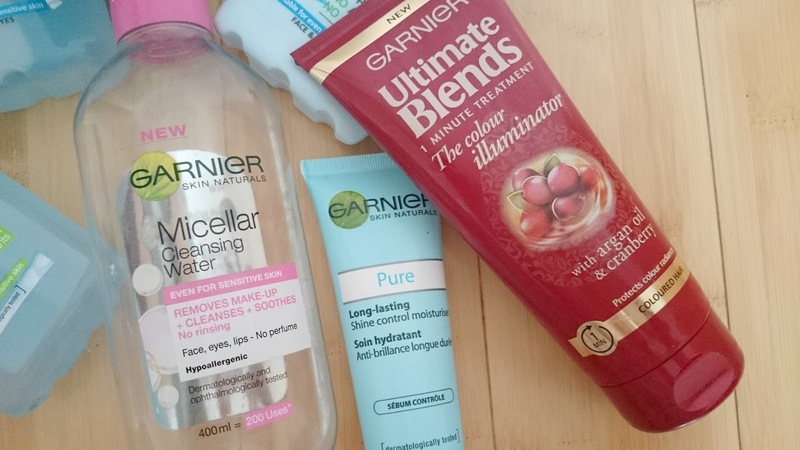 The Garnier Micellar Water needs no introduction, it's fast becoming a blogger favourite and I have bottles of this ready for each time I run out. It's soothing and leaves my skin feeling so clean and you get 400ml of product! The Shine Control Moisturiser is a new addition to my morning skincare routine, this mattifies the skin, leaving a perfect base to apply your make up on. The last product is from the new Ultimate Blends range, the colour illuminator one minute treatment, this smells amazing and makes my hair so soft. I'm not usually that impressed with one minute treatments but this exceeds my expectations and has won a place firmly in my hair routine. Now to try the shampoo and conditioners! 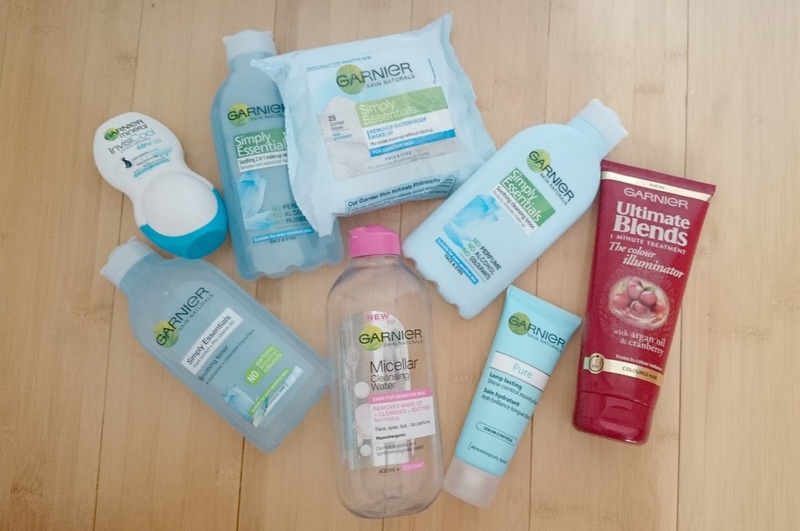 Is Garnier one of your favourite brands too? I would love to know what your fail safe products is in the comments below. I love Garnier! such great lines and prices! Haven't seen the Shine Control Moisturizer here in The Netherlands but I'd love to try it! Seems the perfect product for me! I've recently become a huge fan of Garnier products including the deodorant you mentioned and I'm using their 2in1 Express Eye Make Up Remover too which is definitely one of my fail safe products that I'll be reviewing this week on my blog! I've already planned to buy their Micellar Water this weekend as my L'oreal Micellar Water has run out!